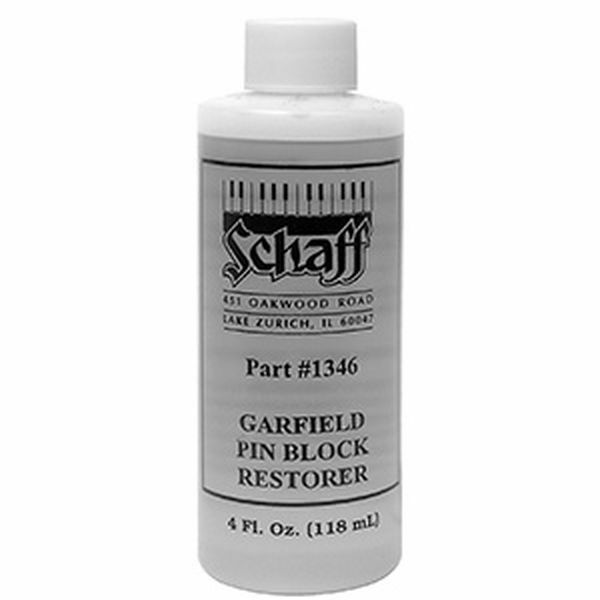 Garfield's Pin Block Restorer has these important features: it comes in a liquid form...easy to apply with a syringe or eye dropper. It penetrates into the cells of the wood to restore its holding power. It contains no oil...will not evaporate. Its effectiveness improves with age...in one week the pins are tight enough to permit tuning. It prevents rust...will not affect glue. Must be diluted with equal amounts of denatured alcohol. Really good quality Pin Block Restorer! I bought this restorer for tuning a MOUTRIE piano in Saint Paul Monastery in Saigon. After one week dropping, the pin block now is OK. (FYI, this Piano was loose pith (demi-ton) during the last 30 years! all of the Piano tuners in Saigon refuse to up to A 440Hz. ). Better than expected!